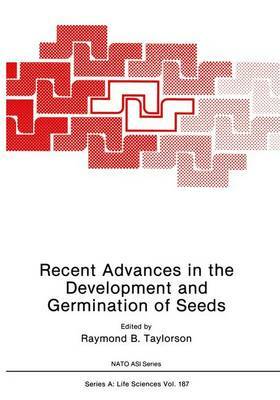 These Proceedings are a product of the International Workshop on Seeds held in Williamsburg, Virginia, USA, at the College of William and Mary, during the week of August 6-11, 1989. Sixty-eight participants attended. The location provided a scenic and historical setting for the excellent work presented. Good facilities and amenities also contributed to the success of the meeting. The Proceedings present the substance of the main lectures given at this meeting. In addition, there were 29 brief paper presentations and 30 poster presentations which have been summarized in abstract form in a separate publication. This meeting represents the third such meeting of a diverse group of scientists interested in the behavior of seeds, both in an agricultural sense and as tools for the advancement of more particular s~bject matter. The first meeting was held in Jerusalem, Israel in 1980 and the second in Wageningen, The Netherlands in 1985. A fourth meeting is being planned. The Editor and Organizer wishes to thank not only the contributors to this volume for their efforts but also all the other participants whose combined efforts made this meeting a great success.